Watch the video above and read the transcript of my very first hCG success story interview with the lovely Sabrina! Hello ladies and gents! I have something rather exciting to unveil for you today. I just completed recording my first hCG Diet interview, the first of many I hope. I’m an obvious amateur, but I hope you get as much out of the interview as I did. The series will be called “Interviews with Everyday People” and will be focused on seeking out and interviewing regular people who have lost weight with the hCG Diet and have something interesting to share about their personal hCG Diet journey that will benefit the rest of us in some way. Sabrina here is still on her weight loss journey and has some wonderful stats to share- she had hydrostatic body fat testing done before and after her first round of hCG taking prescription hCG Nasal Spray through a weightloss clinic, and her test results show something quite striking- 93% fat loss out of the weight she lost on hCG. She is currently on her 2nd round of hCG, this time using HCG Injections. I asked Sabrina for the 3 keys she finds most important to doing the diet plan successfully. Watch the interview or read the transcript below to hear Sabrina’s whole hCG story below. I’ve included a photo of her before and after body fat test results so you can see for yourself! Rayzel: Hi Sabrina, how are you today? Rayzel: Good. I just want to welcome everyone who is going to be watching this interview today. This is my channel, hCGchica on YouTube and you might be seeing it on my site HCGchica.com. My name is Rayzel Lam and this is kind of experiment, this is our first interview that I’ve planned on doing in a series, called interviews with everyday people, with those who are doing the protocol. So, Sabrina here has so kindly offered to be my first victim. So, you are currently still on your hCG diet journey, right? Sabrina: I just began a round. Rayzel: OK, great. So, you’ve done one round of this protocol so far? Sabrina: Yes. Now I’m doing second round. Rayzel: OK, and how many pounds did you lose in your first round? Sabrina: Total, you want the weight LDW or my total weight? Rayzel: Just approximately how much you’ve lost so far. Sabrina: With the whole round I went down I think 26 pounds. Rayzel: OK, that’s great. And how many days were you on that round? Rayzel: 40 days, OK. So, 26 pounds in 40 days is just awesome. That’s actually what I lost in my first round too. What kind of hCG were you using? Sabrina: I was doing prescription, but I was doing nasal spray. Rayzel: OK, so a nasal spray. I actually haven’t talked to too many people who have done this, so that’s kind of unique. So, prescription nasal spray. And what dose were you taking? Rayzel: And that felt really good, you didn’t feel hungry? Sabrina: I felt no hunger. Rayzel: That’s awesome. Now, as far as a protocol you followed, did you eat the 500, or did you eat more? Sabrina: On round 1 for the first like 2 weeks or something, I stuck POP (perfect on protocol) to Dr. Simeon’s protocol. Rayzel: So, just the 500 calories. Sabrina: 500 calories, no coconut, none of that. And no mixing of vegetables. But then about the third week I started like mixing my vegetables and kind experimenting with coco delight and all that stuff. But I stuck to the 500 calories throughout even with the changes. Rayzel: OK, great, all right. And so, one of the reasons I wanted to interview you is because you did some hydrostatic body fat testing, correct? Rayzel: Before and after. So, this is something that not everybody has access to, but it’s something that I’m really interested in, because to me that’s part of the way that this protocol is proved to work as showing how much fat loss occurs, right? Rayzel: So, share with us what your results were. Sabrina: OK. Well, when I went in to have my first hydrostatic test, it was preloading. So, it didn’t include the 6 pounds or so of loading weight that I had. So, my results were that I lost I think 17 pounds, that’s what they measured, 17 pounds, and 15.85 was fat. So that was like 93 percent pure fat. Rayzel: Oh my goodness, yeah. So, that’s amazing. So basically, out of 17 pounds almost 16 pounds was fat? Rayzel: So, only just over a 1 pound muscle loss. That’s totally phenomenal. And honestly, when you’re losing a lot of weight like that, your body is going to need a little less muscle anyway, because we actually carry more muscle in order to carry around all that extra fat on our body. So, yes, so that’s really, really good result. And you were eating 500 calories a day, so, that’s amazing. You had mentioned something to me about something, cause you did this through a clinic, right? Rayzel: And did you mentioned something to me about the doctor thinking about 500, something about that? Sabrina: Well, what happened is that the first time the clinic that I went through that I was getting the nasal spray from. They’re located in the Midwest, and I’m on the West coast. So, sometimes getting, the nasal is already mixed. So, we ran into some issues of them shipping shipments, and not getting there on time, and you know, it’s not been refrigerated basically. Sabrina: So, I decided that, if I were going to do additional rounds I was not going to go through them for that reason. I wanted some clinic closer. So, if decided to do nasal spray it would be local and it would get there quicker, so that clinic that I’m with now, doing the protocol which I’m doing the injections, they recommend a higher calorie intake than the 500. And when I asked them why, they said because you’ll lose so much muscle, if you went 500. So, they didn’t know that I have the previous experience with the body fat testing, so I said I will just get my prescription hCG and stick to what I was doing. Rayzel: Yeah, stick to what you know worked well huh? Because you probably would not have lost as much weight if you have done a higher calorie. Right, and it’s not necessary, because you were not hungry, and you lost almost all fat. Sabrina: Exactly. And they also recommended a higher IU then what I have done previously. Rayzel: I see that that’s pretty common with for some reason, I don’t know why that is, but a lot of weight loss clinics prescribe a dose that’s really too high for most people. It’s kind of funny, I don’t know why that is. Some people do need more work. Sabrina: … use before, I didn’t use what they recommend. Rayzel: Yes, totally, I agree. So, as far as just more generally speaking on, what led you to having issues with your weight in the first place would you say, what led up to that for you? Sabrina: Well, I think there are two things, in my adult life I’ve been like, when I say grossly overweight, I mean like at least 30 pounds or more over my, you know, the weight I should be. Once when I was pursuing my masters, late night program, I worked full time, and I just kind of ate what I could eat. And after I completed that program I started exercising, implement exercising kind of change what I ate, and I went back down to like maybe 127lbs or something. Then maybe a year and a half ago I wad diagnosed with what was a pre – cancerous tumor. And so I was very emotional about that; they didn’t want me to exercise. They said it could rupture, it was just this kind of in between state. I was just like kind of eating and doing that. And my husband at the time who was in the military was deployed. So, it was a really stressful time. So, I just kind of ate, probably because of emotions. You know, it’s like oh, what I’m going to do. And then once I went in and I have surgery, and they did the pathology test, it wasn’t cancerous, but they kind didn’t know at the time, so I was relieved it wasn’t, and I had the surgery. And it took about 6 to 8 weeks for me to recuperate from that. And as soon as that was over I was like OK, I have to do something with this weight, because at the time I was probably about 25 or 30 pounds overweight. I kind of started looking at, I actually don’t know how, I have heard about this protocol probably on Doctor Oz, or something, I don’t know how many years ago. 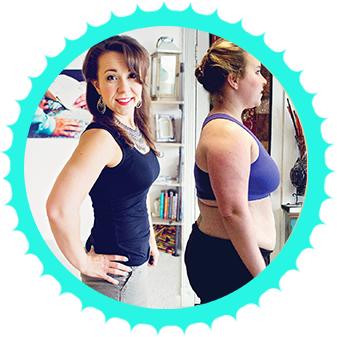 I think I went on YouTube, and was either googleing fat loss, or weight loss, or something, and then find this protocol, and I start going on all these different blogs, and I was like oh my god, and you know, I find your story and hCG, mshcggirl’s (youtube hcger-find her channel here: https://www.youtube.com/user/MsHcGGirl) and all other stories, oh my God, and then I started more researching, I said you know, what do I have to lose. And the clinic that I went through, they had a YouTube video where they were doing this lecture, I guess to the medical community and saying why it worked and I called them, and the ball just kind of started rolling. Rayzel: That’s great, that’s awesome. And that’s true, that’s kind of the same thing for me, why I finally felt kind of confident enough to try the protocol out, was all the real people that I found on YouTube, that were really doing it, all these people weren’t making it up, you know. Sometimes when you go to a site with advertisements and there is a lot of stock photos, and those photos aren’t people who lost weight with Human Chorionic Gonadotropin, you know. They’re used on all kinds of all kinds of sites, and you buy it for 15 bucks, and put it on your website. That’s why this is so much- it’s just much more proof, that this really does change your life. So, as far as, you know, you’re experience in having done one full round, now you’re on your second round. If you can give advice to anyone else who is starting the protocol, or like 3 the most important things that you found were important to be successful on a diet? Sabrina: One thing I think is preparation, having some kind of plan as far as for me, I’m a military wife, I have kids in high schools, I’m a basketball, tennis, soccer mom. You know, it’s like if you’re not kind of prepared, and I think I did really learn it so much from being on this protocol, but the times that I’ve been successful at losing weight before. That full component and being prepared, you know, if it’s like cooking meals 3 days in advance, or if dinner is a heck time for you, have all your dinners prepared, that kind of things. So, being prepared as far as your dinner, or your launch, or your food goals. Rayzel: Yes, so that was just as crucial during the weight loss protocol then? Sabrina: Exactly. And the other thing for me, and I know that there is the controversy about the scale, you know, to weight or not to weigh. For me that’s a good tool, because especially when I got into P3 and P4, to know what foods effected my body, how, it’s like I hear people that say, oh I feel lighter today, or bad, I mean some days I feel lighter, but I get on a scale and I’m actually heavier. So, using the scale, and for me, I don’t have that much emotional connection to it. I’m a data gatherer- how much data I can get. So, I don’t feel with what the number on the scale says as you know, my day is ruined, or my day is well. So, it was just a tool. The other thing is the knowledge and reading, Pounds and Inches (free to download on the Resources page) for yourself, knowing what it says. I heard several people, they say, each time they start around, they go back, they read it and re read it, and I just kept referring to that, throughout that whole round, when I have questions about things I did, so I was working with the clinic, I talked to the doctor and sometimes I say, well doctor Simeon says this, why are you guys saying something different? They explained some of the modern day things that that Dr. Simeons didn’t have access to like they allow me to eat tuna. I say, he doesn’t say anything about tuna, why is that. And she said, well back in the 50’s they didn’t have the option of tuna in water, like we do today, back then it was all in oils. And I was like, oh, OK. So, just that, just having the knowledge for yourself. Rayzel: OK, sure. OK, good, well, thank you so much for coming on here today.